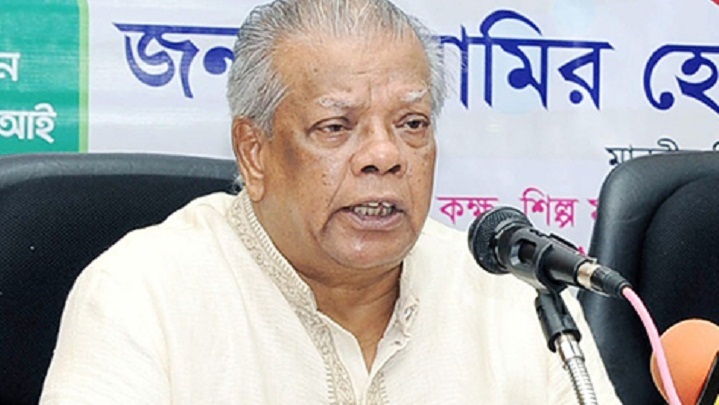 Industries Minister Amir Hossain Amu on Tuesday said new industries will be set up on the unused land under state-run industries for increasing the economic growth of the country. He came up with the statement while addressing at a motorbike distribution function at Atlas Bangladesh Limited in Tongi. "Land under the state-run industries will not be sold or leased," an official release said today. Speaking on the occasion, Amu said the present government under the dynamic leadership of Prime Minister Sheikh Hasina is working relentlessly to create an investment-friendly atmosphere to turn Bangladesh into an industrialized country. "Developed countries are showing their keen interest to invest in Bangladesh, as investment friendly atmosphere is prevailing in the country," BSS qouted the minister as saying. The minister said the government has taken various initiatives including setting up new economic zones, establishing environment friendly Effluent Treatment Plant (ETP) and transferring the Hazaribagh Tannery to Savar to attract foreign investment. The government has given highest priority for developing health services, Nasim said, adding they have provided motor vehicles and ambulances to upazila health officers for ensuring better treatment of rural people. Atlas Bangladesh Limited distributed a total of 562 motorbikes to the National Programme on Immunization (EPI) workers for field level use at the function.